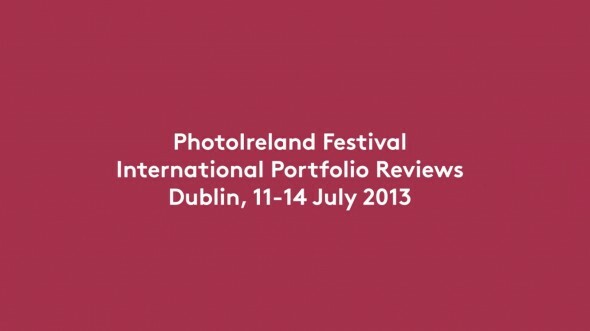 PhotoIreland Festival’s portfolio review weekend will take place on 11-14 July 2013 in Dublin city, representing a unique opportunity for emerging artists worldwide to highlight new photographic projects and meet with international professionals to further their careers. Portfolio 13 is open to all photographers worldwide, working on any theme. Please, make sure you read the guidelines. Be part of the International Portfolio Reviews programme in 2013. Get your work reviewed by a selected group of professionals. Be featured in a special publication that will accompany the event. Get your work seen by all our international guests, and Book & Magazine Fair participants at a special presentation on July 11th 2013. The reviewers will select an overall winner, who will be offered a solo show in PhotoIreland Festival 2014. For a full list of details, schedule, reviewers, rules and FAQ, please visit the Portfolio 13 page. Thanks to Cian Brennan for producing the video, and to Orquesta for the music.